UPDATE 2: Added smooth Scuba Steve's Freedoomguy mugshots that I originally made for a friend, but I've decided to post 'em online. Perfected Mugshots addon for BD, and pretty much any other mod. I've finally managed to finish it. Here ya go, perfected mugshots! Features blue eyes (thanks to StalkerZHS from zdoom forums), smooth animations and improved god mode sprites! 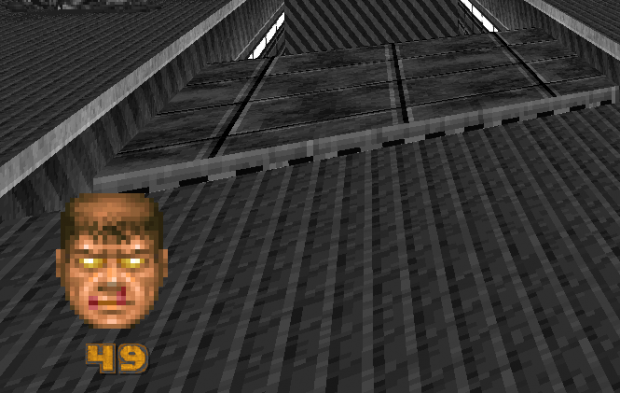 However, keep in mind that if you're not using it with vanilla Doom, you should put it before any mod that doesn't change mugshots, like BD. Here's how it should look: Imgur.com . What is it, Mr, Guest? Glowing eyes and a nose bleed. Someone call the doctor. This seems to have issues with the latest release of BD, for example, the helmet HUD overlay does not work. The only HUD that does is the original. Hope that helps, this really is a cool addon Dox! I realize that, Guess I'll have to make multiple versions of it, or somethin'. Scott and Rebecca's Perfected Mugshots when? Perfected Mugshots addon has not been tagged yet.